Come out and plant a succulent! Plants do many great things such as; purify the air, brighten your atmosphere, improve focus and enhance memory. This is open to teens ages 11-17. Materials for up to 16 teens will be provided. You must register by emailing lclark@belfastlibrary.org, or at the children’s floor desk. 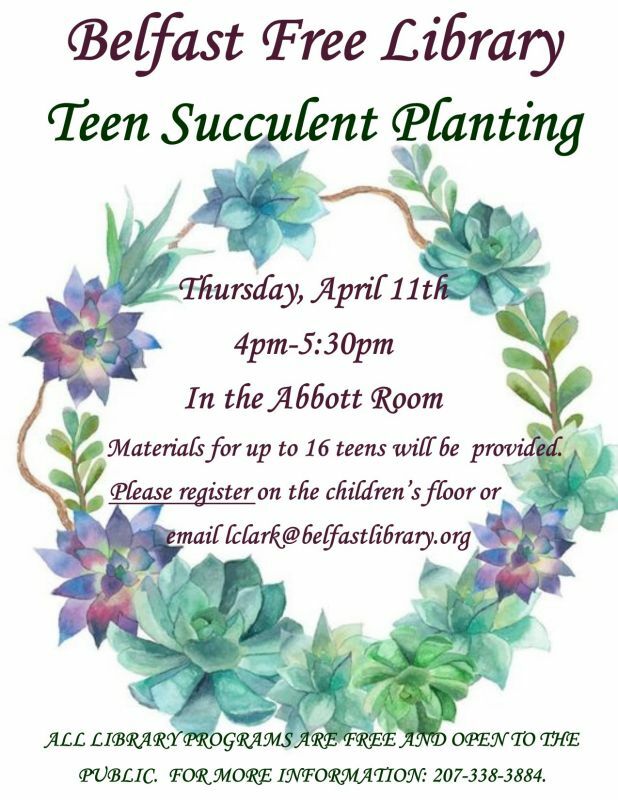 Event is in the Abbott Room at the library, Thursday April 11th 4pm-5:30pm. All library programs are free and open to the public. For more information: 207-338-3884.